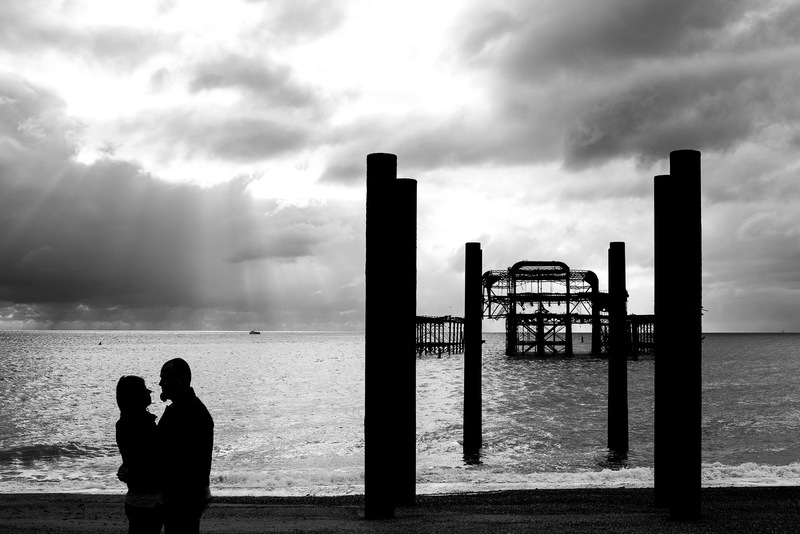 Why is Brighton an amazing city for a photo shoot? 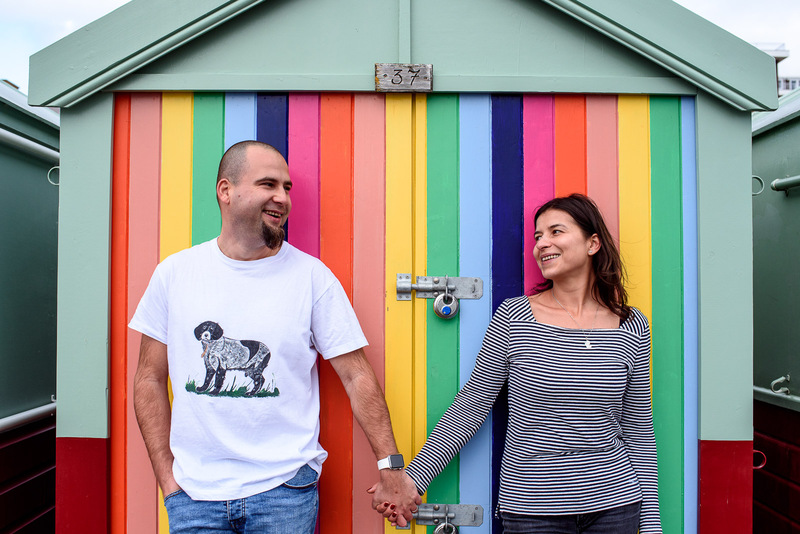 Thinking of having an engagement shoot in Brighton? YAY!! I absolutely adore this city and I honestly think it’s the most fun, colourful, quirky and vibrant place in the UK. I’m also very happy to call it my home! 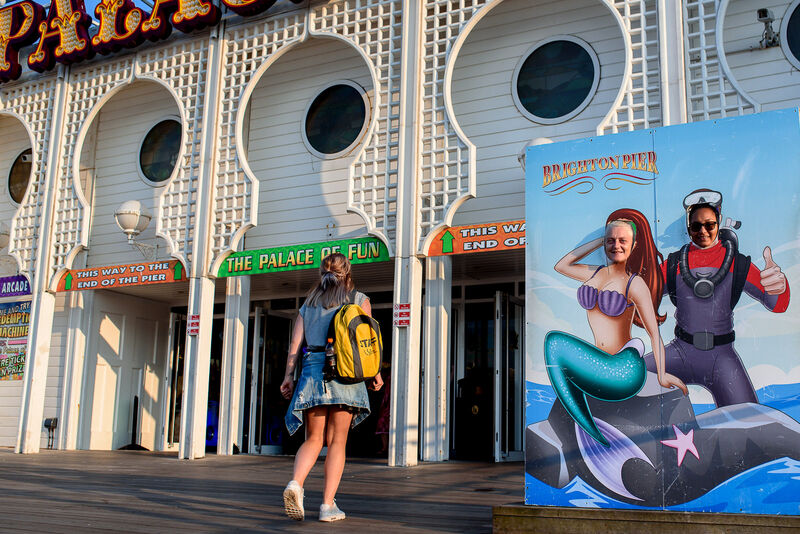 Brighton is a short 50 min train ride from London Victoria and is the best place to spend a weekend away. It offers so many cool places and countless adventure opportunities. I’m a curious person so I always try to find new fun places, however the ones below are still the best in my top. Famously known for it’s colourful twinkling lights and fun games, this pier is the place to go for a fun engagement photo shoot. We can see how competitive you are on the arcade games, grab some refreshing ice-cream or the best Fish and chips (careful of the seagulls tho!) and explore the fairground. I promise this amazing place will bring out the child in you! The colours, the patterns and the wood makes the perfect backdrop from some cuddles or craziness. Plus this is the place where I always spot some interesting characters. 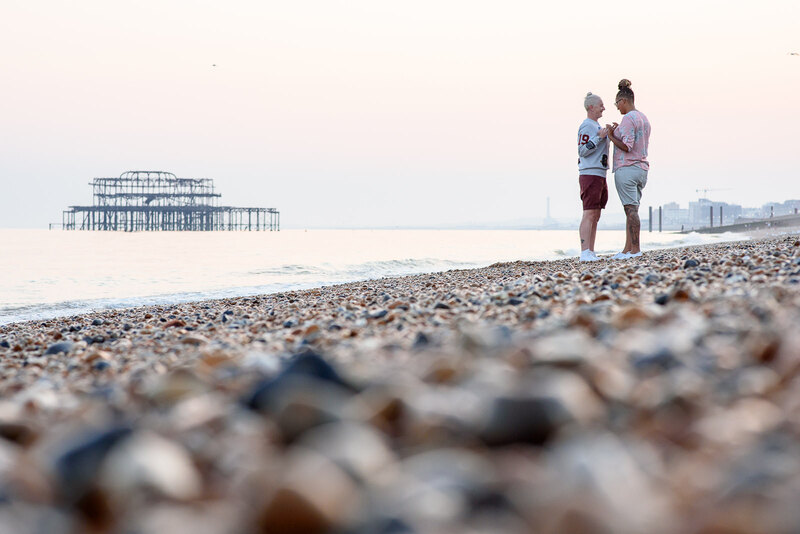 I don’t think I need to convince you why Brighton beach is a great spot for engagement shoot. The pebbles, the waves and the cool people you see around make this place a perfect spot. 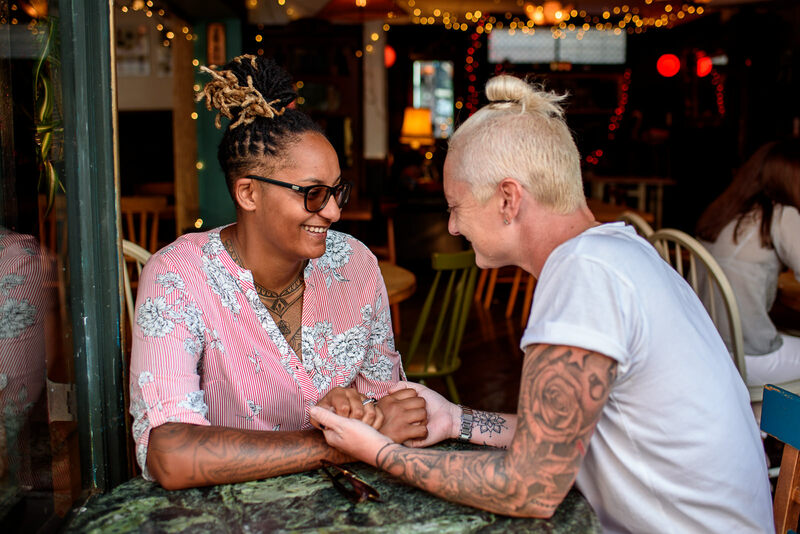 Ever since I moved the Brighton I took upon the challenge of testing as many pubs as I can – you’re welcome. So now I know so many interesting places where we can stop for a drink and a few photos. There is something mysterious and mesmerising about the old pier ruins. They stand tall for years now and dominate the Brighton sea front and still hold the outline of its gone glory days. This one is a personal favourite. Everybody knows about the Lanes, the ones with the Jewellery shops, however North Lanes are much cooler in my oppinion. 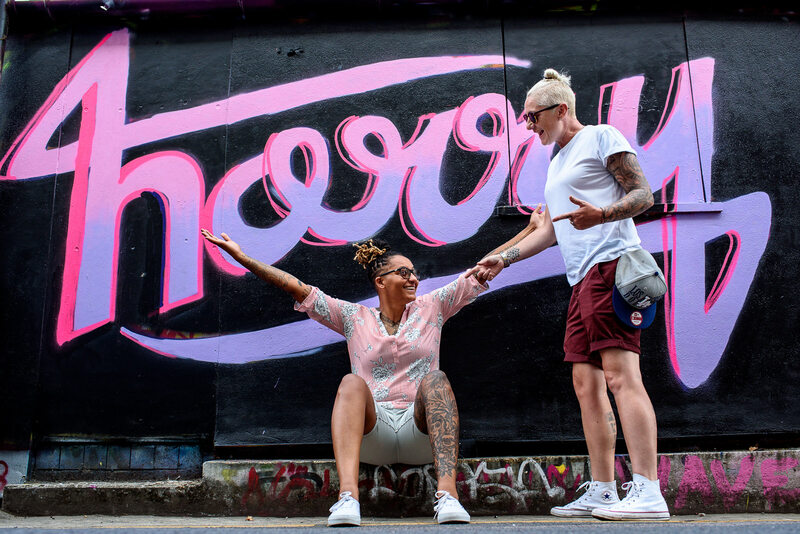 They feature really unique shops, alleys and colourful ever-changing graffiti. With its amazing architecture and views of the sea this place is perfect for cuddles in the sun. I absolutely love street photography and travelling all around the world. But sometimes you don’t have to go too far as you can find hidden treasures on every corner. 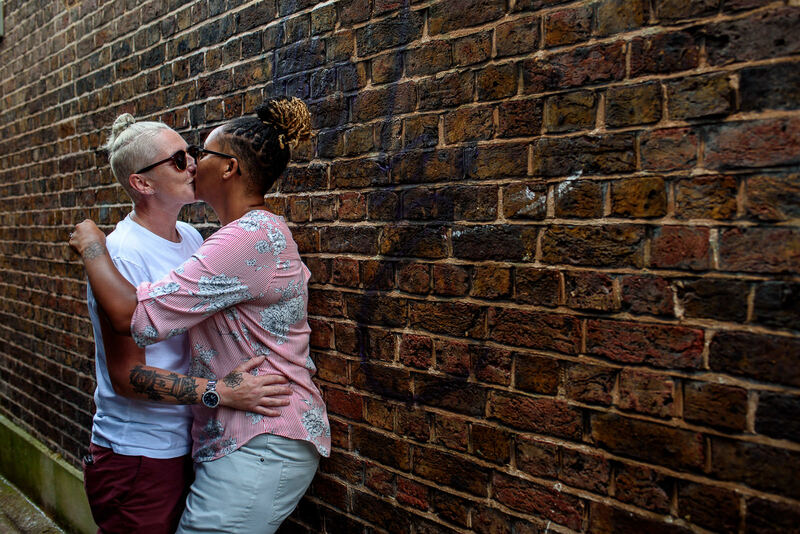 Every street is different – either colourful or with brick walls, offering so many photographic opportunities. 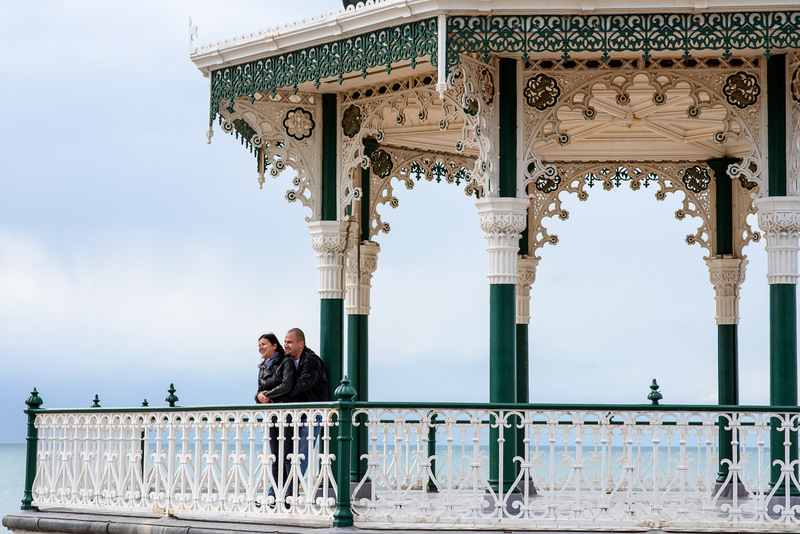 This Brighton Landmark is such a marvel, combining different style of Gothic, Chinese and Indo-Saracenic architecture. Surrounded by the Regency Gardens it’s the perfect spot to capture some happy photos. What I love most about Brighton? 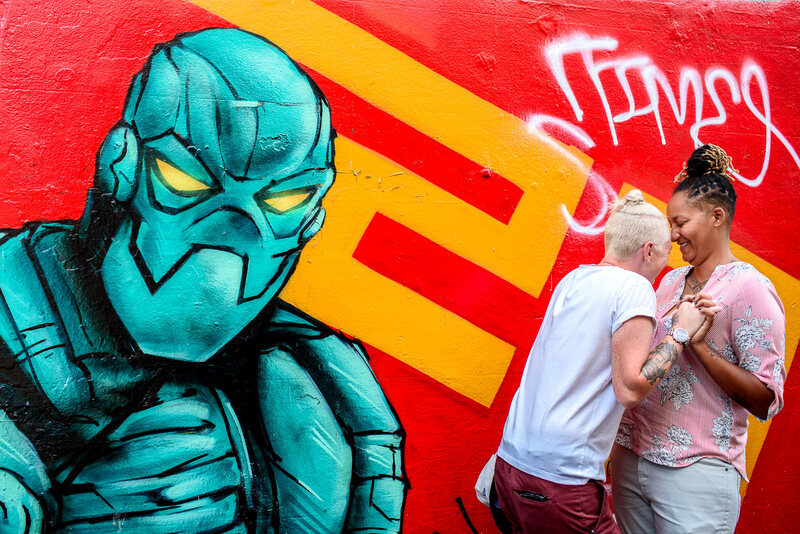 It’s an amazing city, free, fun and colourful that can surprise you everyday with something new, something exciting. So lets discover new cool places in Brighton together! 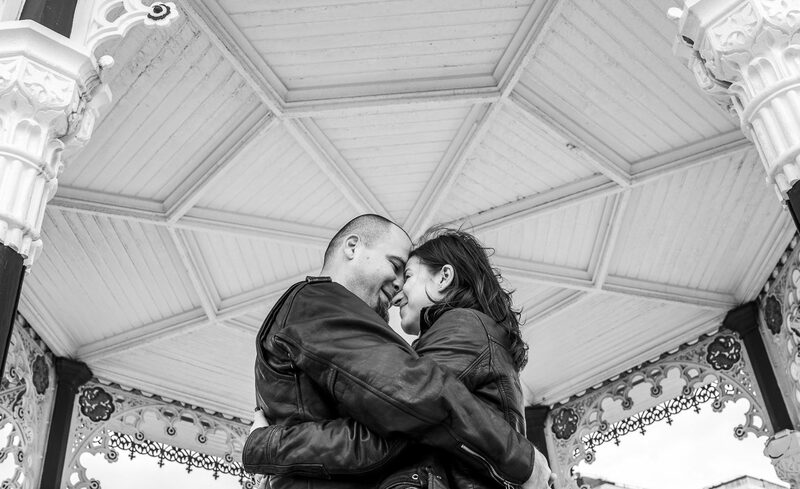 Planning an engagement shoot in Brighton? Contact me now and lets plan together!